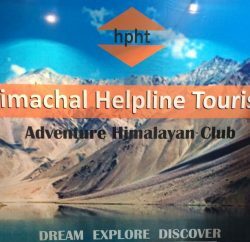 The Himachal Pradesh Tourism & Civil Aviation Department and HP Tourism Development Corporation (HPTDC) has jointly organized a Himachal Tourism Exhibition and put up a Stall in Kolkatta Tourism Fair started from today on 14th December and will continue till 16th of December, 2012. Minister of Tourism of West Bengal Krishnendu Narayan Chowdhury, Jevraj Ghimire, Deputy Cousul General of Nepal, J.P. Shaw, Regional Director(East) of Ministry of Tourism, Govt. of India and Sabyasachi Chakraborty, renowned actor and wildlife lover were present at inaugural ceremony of Kolkatta Tourism Fair. S.R Harnot, that The Tourism minister of West Bengal visited the stall of Himachal Tourism alongwith senior officers of tourism and they were presented sets of Himachal brochures including maps and CD. Sabyasachiu Chakraborty, a renowned actor especially visited the Himachal Tourism Stall and spent some times with the officers and officials of tourism by asking lots of information regarding adventure tourism and tribal regions of Kinnaur, Spiti and Lahaul. He was also presented CD, Maps and Himachal tourism Book. Harnot informed that The Himachal Tourism Exhibition Stall was attractively decorated by displaying big posters of Himachal various tourist destinations and activities. 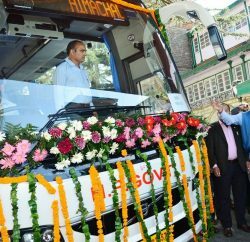 The information with regard to Har Gaon Ki Kahani Packagers alongwith other packages prepared by the HPTDC including reservation of accommodation and transport with attractive winter discount were imparted to the visiting tourists and general public. The visitors are very keen to know the packages in Himachal Tourism Hotels, snow fall and especially arrangements made for celebrating X mass and New Year Eves. Numbers of tourists and local people showed their interests to plan their visit /holidays during coming summer season to Himachal. 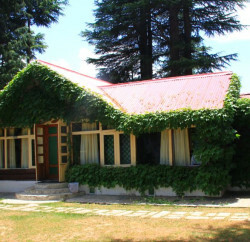 tourist places like shimla, kanga,hamirpur etc to visit. location where I can stay and let me know good hotels. My first visit so please guide..
and if u want to take some taste of Pahari culture then I wud recommend you Himalayan Village Resort near Kasol.